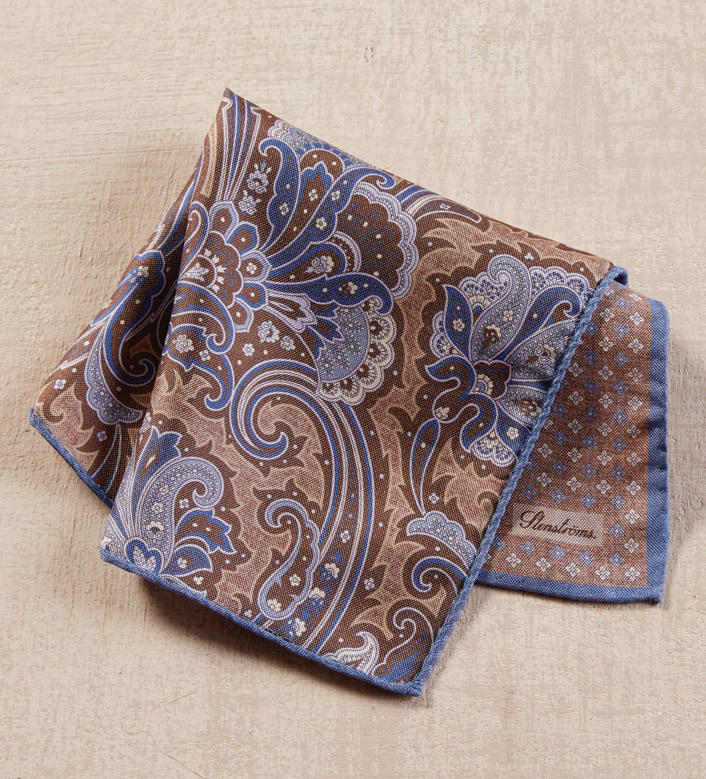 Made in Italy, an opulent paisley reversing to neat print on 100% silk. Dry clean. 12" x 12".